When your picker chooses an access role, the picker will label which AU is associated with that role and store it on the firewall. 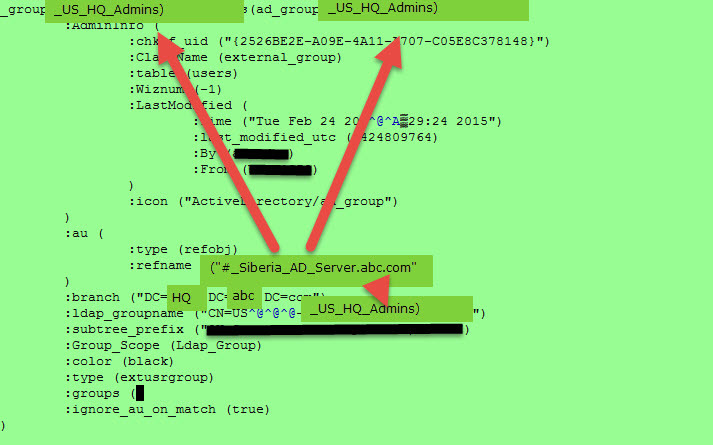 Because when the firewall is trying to tie the USER to this group US_HQ_Admins, the firewall will make sure the LDAP query it makes to an AU matches the AU in the group US_HQ_Admins. In this case they both have to be to SIBERIA. If for some reason the firewall uses the FLORIDA AU (multiple AUs in a domain)…..game over sucker. Add this line into CPprofile.sh and reboot/cpstop/start. And the firewall will ignore the AU match and just match up the access role to the LDAP group regardless of what AU it is from. In the off chance that there are ‘design inconsistencies’ with Identity Awareness, try this. I don’t believe these are published yet so “sssssssshhhhhhhhhhhh……” don’t tell anyone. So in my previous rant YAMDS I showed you one way of going through the MDS database. 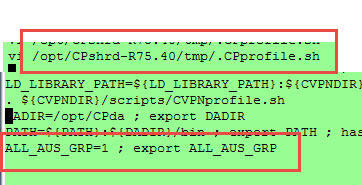 The API for the MDS database is called CPMI. Its pretty crude and you can’t get to all the database but its quick and dirty. 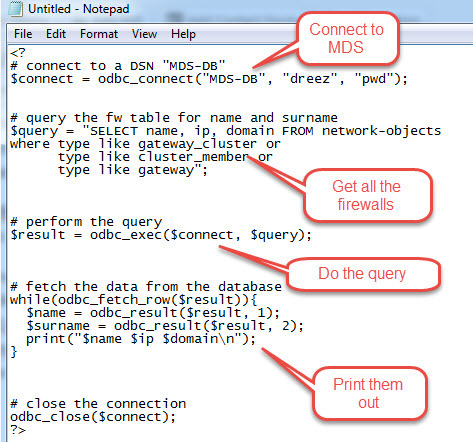 So your web browser would connect to the MDS web server with this page http://mds/list_firewalls.php, the web server would execute this code and print out the firewalls on your web browser. where the number of URLs and the complexity of the operations are infinite. 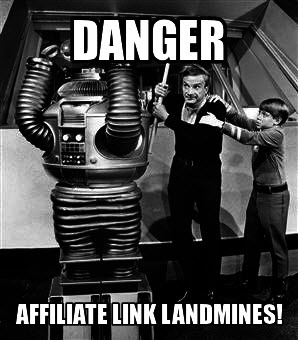 PROBLEM: Let’s say a URL blows up in the middle of some complex operation. How will that error be shown to the user? “Error NO 1234256 Abort Operation Fatal Error”. You see this often don’t you? Well its because the client PC has no visibility into the internal complexity of these URLs. R80 will have a new API called REST (Representational State Transfer) which allows one to query the MDS database using HTTP GET/POST/PUT/(DELETE) commands. These commands can be issued from the command line using ‘curl’ OR from your desktop web browser OR from a PHP script. So its very versatile. Now for the REST of the story!!!! OK, so there is a little bit more…the art. There is an art on how you build a REST-full interface. Pre-REST there was SOAP interface which was a huge monster pig where you could send batches of commands to a web server and it was very structured, bureaucratic and stoic – so it was probably created by the some European Union government workers. REST-full developers revolted against SOAP and tried to find the simplest, laziest way to execute a single command and depend upon the ‘community’ to behave properly instead of being enforced by gigabytes of web server code. So REST-full people are more like socialist coffee-shop dwelling dope smoking Dutch. Hence the REST-A-FARIANs (get it maaaaaan, yaaah maaaan, pass the potato chips maaaaan). This art can start wars in the developer community “You aren’t REST-full!”, “Yes I am a REST-A-FARIAN!!!!”. So it will be interesting to see if the R80 is REST-full or not…which of course will be subjective depending on which cultural attitude you aspire to. But these are the basics I gleamed from a cloud smart friend of mine Steve Morman who does cloud stuff running weather web sites. The POST returns a RESOURCE ID: 74859. This number is used to refer back to the record in the database. This is the glue that ties the client into the database to get records back out. Now are you ready for the art? 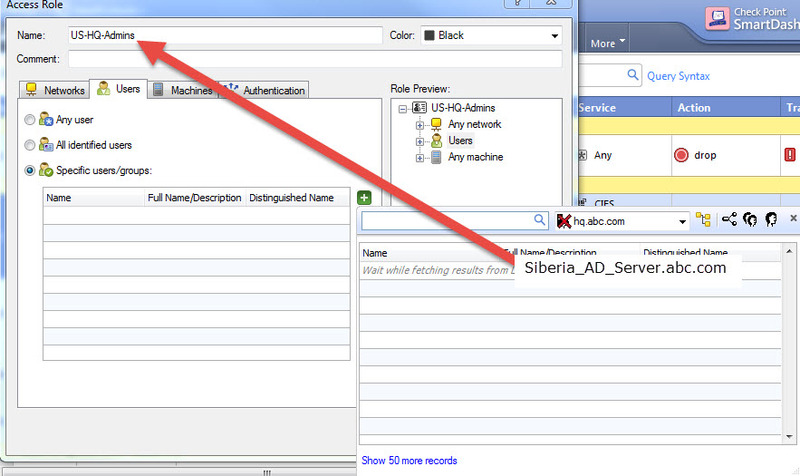 If one specifies http://mds/network-object you will get a single object back because it is singular. 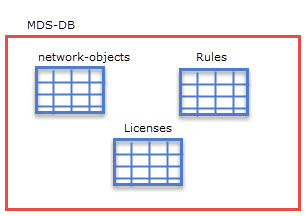 If one specifies http://mds/network-objects (plural ‘s’) you will get the whole table back. That is the ‘art’ in defining how these URLs are to be used. ….and that’s all I got. Simple huh? REST will make R80 a true enterprise class management server. Any type of management server must be able to import/export data so it can integrate with the rest of the environment using automated scripts. While I love cpmiquerybin, its days are coming to a end. Many Thanks to Steve Mormon who laid to REST the concepts so simple that even bald old guys like me can understand. 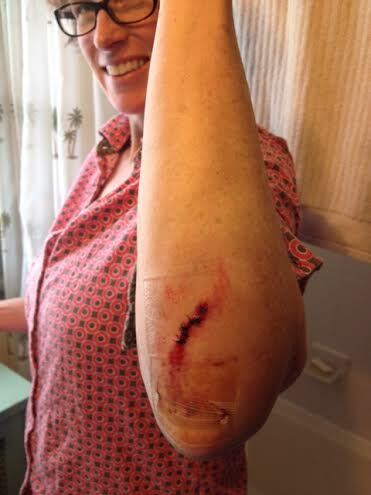 Steve was babysitting his beautiful wife Arah (our climbing partner) who likes to fall down on ice while trail running.